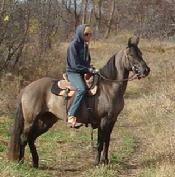 Lovey is now the only girl in her Lakeville, MN herd - sweet. 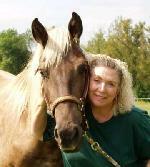 Click here to see Lovey's page. Mimi is now living in Canada - aah! Our favorite little Junebug is now charming people near Anoka, MN. Rochester, MN riders get the pleasure of seeing Titan out and about. Lily is living with an endurance ridng family in Illinois - how lucky! 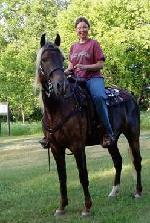 Sugar has a new name - Maraki - and is a perfect fit for Gretchen in Mahtomedi, Minnesota. 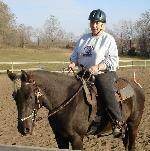 Jeanne and Mike, from Prior Lake, take their calm gelding on weekend camping trips. Zydeco lives near Bloomer, WI. Click to see Zydeco's page. Gunnar is wowing them in Washington County. Click to see Mountain Gunsmoke's page. 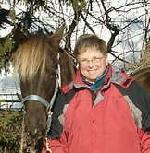 Rococo is now at Friendship Farm in Chippewa Falls, Wi with his wonderful owner, Jill. This coming two boy is the classic Rocky package. Rococo has an incredible disposition and snappy movement packaged with the deep chocolate color and two snazzy white socks. 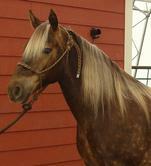 Click here to see Rococo's page. Tucker now lives in Prior Lake, MN.